England’s long history is full of mysterious stories that have never been fully explained–or at least not to the satisfaction of modern-day detectives, historians, and ghost hunters. Visit the sites where these fascinating legends took place and make up your own mind about the truth. While many are familiar with the classic Guy Fawkes mask, the story behind the legend is less well-known. Fawkes was one of a band of conspirators who planned to assassinate King James I in 1605. Fawkes was caught when he was discovered guarding the gunpowder intended for use in the scheme. The scheme became known as the Gunpowder Plot, and Fawkes was tortured and eventually put to death. Guy Fawkes is something of a folk hero in some circles, although in others his effigy is still burned each year on November 5th. Either way, some say that his passion lives on in the form of a ghostly haunting. Stay a night or two at the Guy Fawkes Inn in York, where it is believed that Fawkes was born. While no one has admitted to seeing supernatural apparitions, guests have been known to hastily check out in the middle of the night without explanation. Those who stick around for breakfast report incidences of being woken up by odd noises at all hours. The Whitechapel murders of 1888 still keep historians, authors, and amateur sleuths occupied. Every few years a new theory emerges in answer to these burning questions: what was Jack the Ripper’s true identity? What prompted him to mutilate and kill five prostitutes? More interestingly, why did the murders stop? Some say that the precise nature of the victims’ injuries points towards a physician, while others accuse a member of the Royal Family. Most recently, a self-proclaimed “armchair detective” named a young Polish immigrant as the likely villain based on recently discovered DNA evidence. Visit the crime scenes and come up with your own theories when you participate in the Original Jack the Ripper Walking Tour. Travel through the alleys of London’s East End with expert guides who will share the details of the case. Tours leave every evening at 7 p.m. from outside of exit 4 of the Aldgate East tube station and typically last two hours. Reservations can be made online at a cost of £10.00 per person. When your tour is complete, have a drink at The Ten Bells pub, which is said to have been patronized by some of Jack the Ripper’s victims. Not all vampire stories are hundreds of years old. 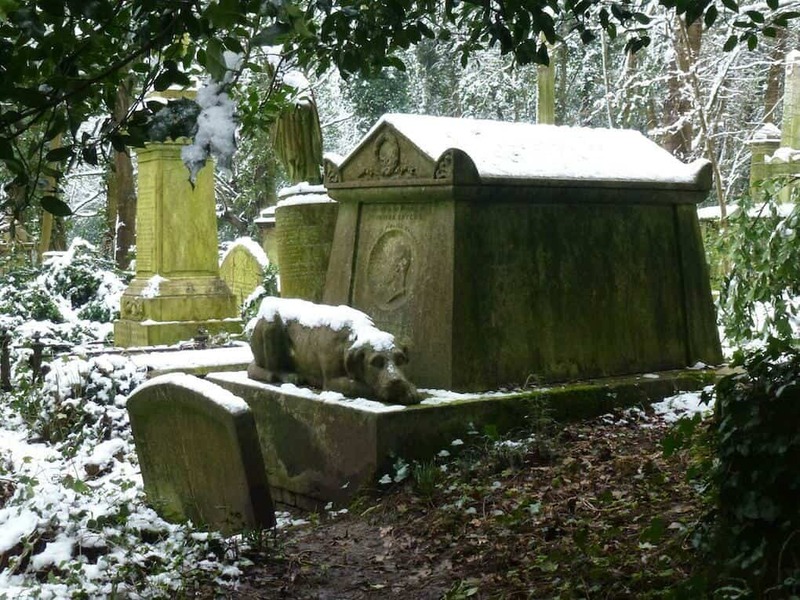 In the late 1960s, two ghost hunters swore that a vampire had been spotted watering between the monuments at the Highgate Cemetery in London’s North End. As the ghost hunters shared their stories, more visitors reported supernatural sightings, which culminated in a massive vampire hunt in March 1970. The ancient pillars of Stonehenge date back to 3100 BC, and are located in the Wiltshire countryside, where some researchers believe that 31 million hours of labor went into placing the massive stones just so. The biggest questions surrounding this popular destination are: why was the monument built? What purpose did it serve? One theory points to Stonehenge’s use in astronomy, while more macabre historians suspect the site was used for human sacrifice. You can drive to Stonehenge or take the train from London’s Waterloo Station to Salisbury. Buses and taxis will take you the remaining 9.5 miles from Salisbury to Stonehenge. Entry is by timed ticket, so be sure to book in advance. The price begins at £8.78 per person. 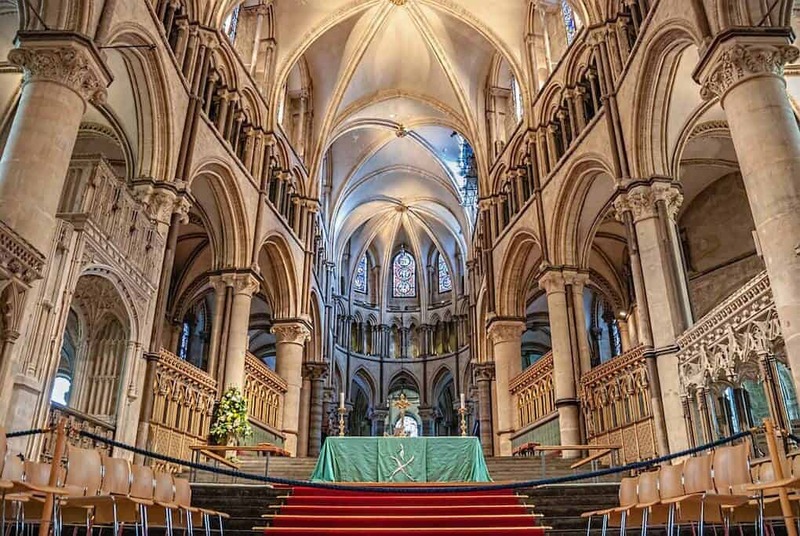 Canterbury Cathedral is one of the oldest and most well-known Christian sites in England, and today it is a designated Unesco World Heritage Site. The site is where the murder of Archbishop Thomas Becket occurred, which many believe was ordered by King Henry II. Since the Archbishop’s assassination, there have been many reports of miracles in the cathedral, making it a destination for pilgrims from around the world to this very day. Take a trip to this historic site and experience the sense of wonder described by visitors regardless of their faith. The Cathedral is open Monday – Saturday from 9 a.m. – 5 p.m. in the winter and 9 a.m. – 5:30 p.m. in the summer. Tickets are £12.00 for adults, £8.00 for children, and £32.00 for a family of five. England has an endless list of sights and attractions for visitors to explore; more than an individual can see in a single trip, and by some accounts, more than an individual can fully explore in a lifetime. These mysterious locations are an excellent starting point for those who want to learn more about England’s greatest secrets.